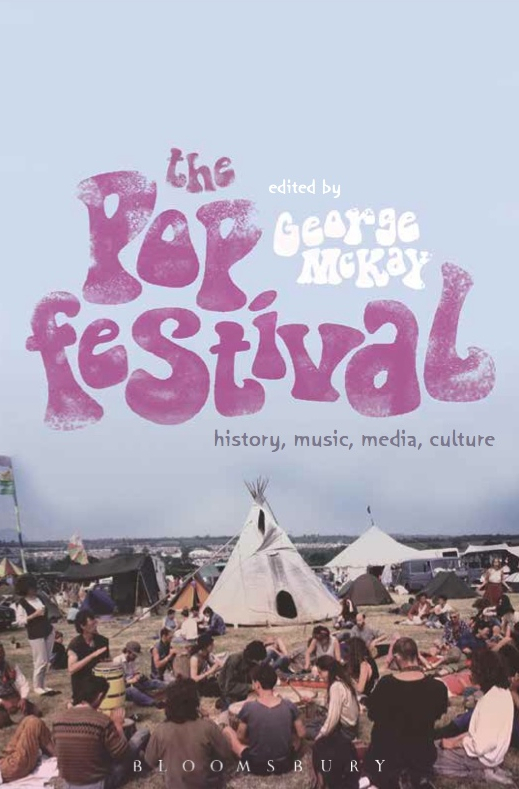 Below are short biographies of all the contributors to The Pop Festival: History, Music, Media, Culture. Chris Anderton is Senior Lecturer in Popular Music at Southampton Solent University, UK, where he is Course Leader of BA (Hons) Music Promotion, Director of the in-house music organisation Solent Music (solentmusic.com), and co-Executive Producer of SMILEfest (smilefest.co.uk)—a student-managed annual music festival incorporating live music, guest speakers and industry-led workshops. 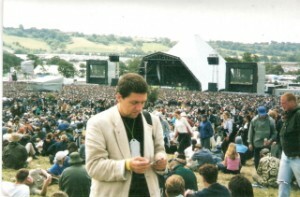 He completed his PhD, entitled (Re)Constructing Music Festival Places, at Swansea University in 2007, and is co-author of Understanding the Music Industries (Sage, 2013). Chris has also published chapters and articles on music bootlegging, music festivals, and progressive rock, and his monograph Music Festivals in the UK is published by Ashgate in 2016. Gina Arnold is an adjunct professor of Rhetoric and Languages at the University of San Francisco, USA. She received her Ph.D. in Modern Thought and Literature at Stanford University and was a teaching fellow in the Comparative Studies of Race and Ethnicity and subsequently a post-doctoral scholar there as well. Prior to joining the academy, Gina was a rock critic and author, and columnist, and has published pieces in Rolling Stone, Spin, the New York Times, the Village Voice, Entertainment Weekly, and a number of other music magazines. She is the author of three books, Route 666: On the Road To Nirvana (St. Martin’s/Picador, 1993), Kiss This: Punk in the Present Tense (St. Martin’s/Picador, 1997) and Exile In Guyville (Bloomsbury, 2014). Her book on festivals, Rock Crowds and Power, is forthcoming from University of Iowa Press. 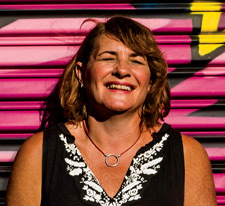 Joanne Cummings is a social researcher at the University of Western Sydney, Australia. Her research interests and publications investigate the sociological aspects of music festivals, youth cultures, neo-tribalism and environmental sustainability. Her book chapters include ‘The greening of the music festival Scene’, in Andy Bennett et al, eds., The Festivalization of Culture (Ashgate, 2014), and ‘Festival spaces, green sensibilities and youth culture’, in Gerard Delanty et al, eds., Festivals and the Cultural Public Sphere (Routledge, 2011). 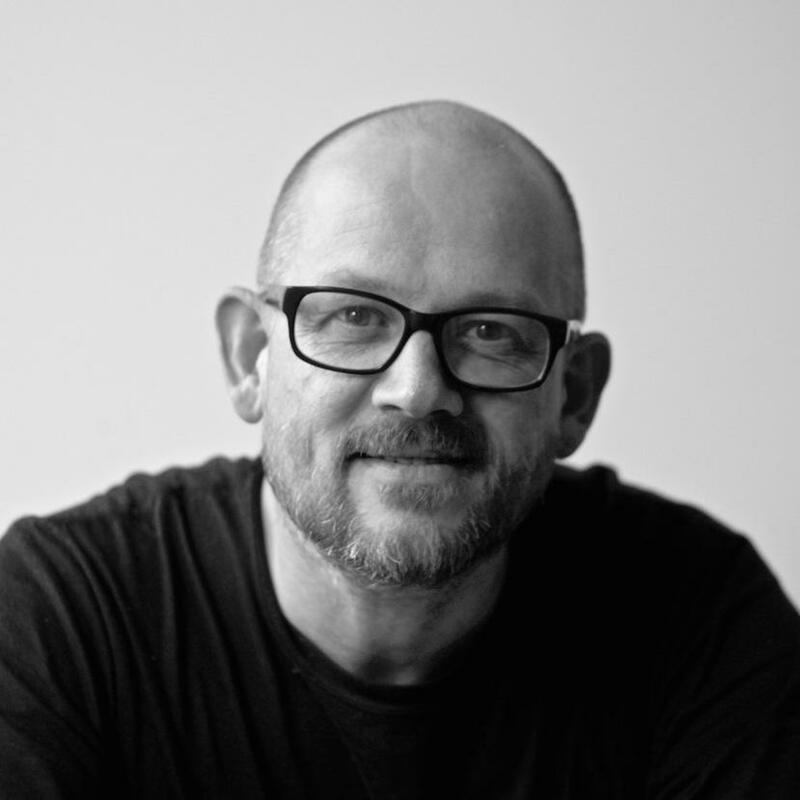 Andrew Dubber works at both Umeå University, Sweden, where he leads interdisciplinary initiatives and consults within European funded projects concerning music, creativity, innovation and enterprise, and Birmingham City University, UK, where he is Professor of Music Industry Innovation. He is also the director of Music Tech Fest—a global festival of music ideas. Dubber is the author of Radio in the Digital Age (Polity, 2013) and co-author of Understanding the Music Industries (Sage, 2012), and has written and published several independent e-books about music and digital culture. 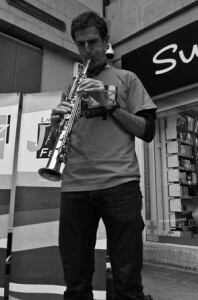 He was a researcher on the HERA/EUFP7 Rhythm Changes: Jazz Cultures and European Identities project (2010-13). His research interests include digital media cultures, media and music innovation, online music enterprise, radio in the digital age, music as a tool for social change, and music as culture. He teaches about radio broadcasting, the music industries, music hacking and the online environment. Dubber’s background is primarily as a practitioner in the media industries as a radio producer and presenter, label owner and record producer. His website is http://andrewdubber.com. 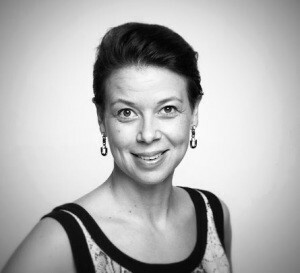 Anne Dvinge holds a PhD in American Studies and jazz Studies from the University of Copenhagen, Denmark. Her postdoctoral project on jazz festivals (2009-2013) was funded by the Danish Research Council for the Humanities, through her membership of the Rhythm Changes project team. She currently works as a concert arranger and music consultant to cultural institutions in Denmark. She also teaches American studies, cultural studies, music and urban studies at the University of Copenhagen. Her research focuses on music and popular culture in the 20th and 21st century. Anne’s articles have appeared in The Journal for Transnational American Studies, African and Black Diaspora: An International Journal, and Amerikastudien/American Studies. Her monograph project, Festival Junctions: Jazz Festivals and Practices of Community and Cosmopolitanism, investigates jazz festivals as meeting grounds between local and global understandings of jazz and cultural identity. Anne’s website is here. Nicholas Gebhardt is Reader in Popular Music and Media at Birmingham City University, UK, where he leads the jazz research programme. His interests include popular music in the United States, the entertainment industry, and jazz history. He co-edits the book series Transnational Studies in Jazz for Routledge, and his most recent book, Music Is Our Business: Popular Music, Vaudeville and Entertainment in American Culture, 1870-1929, is published by the University of Chicago Press. Nick was also a member of the Rhythm Changes project team. From 1996 until 2002 he worked as a radio producer in Australia, where he was involved in live broadcasts from numerous pop music festivals, and from 2012-2014 he was Chair of the Board of the Lancaster Jazz Festival, UK. Mark Goodall is a Senior Lecturer in the Department of Media Design and Technology at the University of Bradford, UK. He is the author of Sweet and Savage: The World through the Shockumentary Film Lens (Headpress, 2006; second edition, 2015) and Gathering of the Tribe: Music and Heavy Conscious Creation (Headpress, 2012). Jacinta Herborn is a PhD candidate at the University of Western Sydney, Australia. Her research considers the embodied experiences of youth-oriented live music events. Ronald Hitzler is Professor of Sociology at the Dortmund University of Technology, Germany. He studied sociology, political science, and philosophy at the University of Konstanz and later researched at the Universities of Konstanz, Bamberg, Cologne and Munich. His research specialises in youth scenes, events, and the marketing of cities, as well as the sociology of culture and modernisation as a ‘problem of management.’ His books include a co-edited volume with Michaela Pfadenhauer on the techno scene: Techno-Soziologie: Erkundungen einer Jugendkultur (Leske + Budrich, 2001) (Techno Sociology: Investigations of a Youth Culture) and more recently, the third-revised edition, co-authored with Arne Niederbacher, of Leben in Szenen: Formen juveniler Vergemeinschaftung heute (VS-Verlag, 2010) (Living in Scenes: Current Forms of Juvenile Socialisation). More information can be found at www.hitzler-soziologie.de. Rebekka Kill is Head of School at The Leeds School of Art, Architecture and Design at Leeds Beckett University, UK. Her research interests include disciplinary constructions of academic identity, practice-based research, festival performance and social media. She is a practicing visual and performance artist, social media enthusiast and also works as a nightclub DJ. Rebekka’s DJ gigs have included an underwater disco and a performance work where she played 7-inch records in alphabetical order for 24 hours without stopping. Her TED-style performance ‘Facebook is like Disco and Twitter is like Punk’ (2012-14), has had worldwide interest online; it can be viewed on her blog at djtheduchess.wordpress.com. Alan Lodge is a photographer who comes from a free festival and traveller background. Living in old buses, trucks and caravans, he drove around the country on ‘the circuit’ with his family and friends. Since the late 1970s his work has dealt with aspects of ‘alternative’ lifestyles and sub-cultures, photographing many free and commercial events, ‘free party’ events (‘rave culture’), environment protest, and land rights campaigning with surrounding social concerns. He has built an archive of images, and supplied photographs to the Guardian, Independent, i-D magazine, Select, Sounds, DJ Mag, New Statesman & Society. 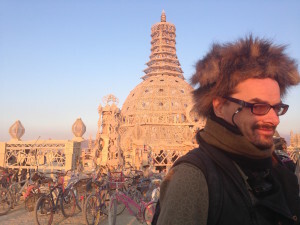 His work illustrates many articles networked across the Indymedia independent media platform. 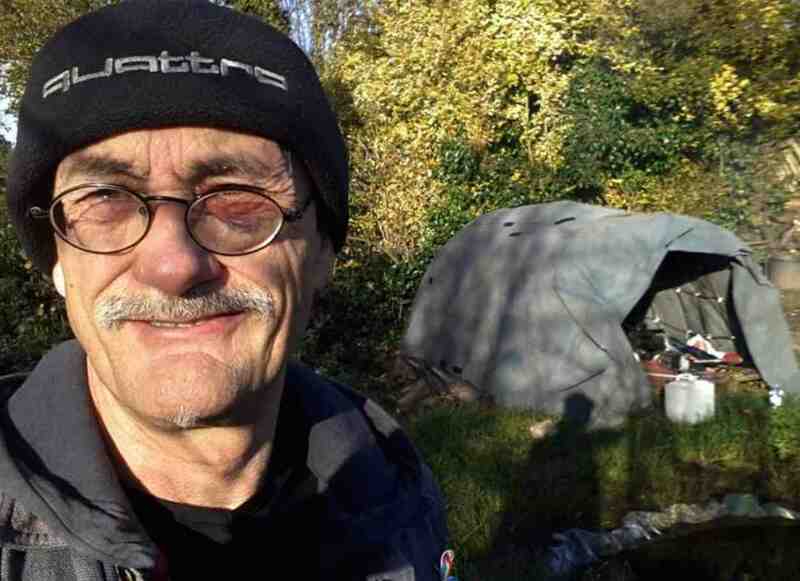 Alan has also contributed to a number of television films including May the Force Be with You and Spirit of Albion (Channel 4), An Englishman’s Right, Trashed, Surveillance Society and New Age Travellers (BBC). He contributed still photography and was a consultant for Operation Solstice, the 1991 Channel 4 documentary about the police action and court trials preventing the 1985 Stonehenge Free Festival. 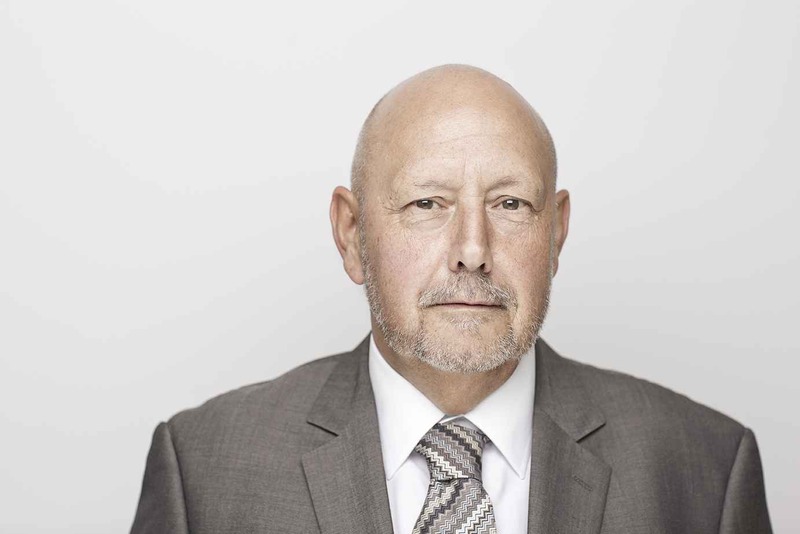 Alan is noted for covering political and environmental actions, such protest frequently involving policing operations, especially in relation to surveillance. His website is http://digitaljournalist.eu. George McKay is Professor of Media Studies at the University of East Anglia, UK, and an AHRC Leadership Fellow for the Connected Communities programme (2012-15). He too was a member of the Rhythm Changes project team. Among his books are Shakin’ All Over: Popular Music and Disability (University of Michigan Press, 2103), Radical Gardening: Politics, Idealism and Rebellion in the Garden (Frances Lincoln, 2011), Circular Breathing: The Cultural Politics of Jazz in Britain (Duke University Press, 2005), Community Music: A Handbook (co-ed. with Pete Moser, Russell House, 2004), Glastonbury: A Very English Fair (Gollancz, 2000), DiY Culture: Party & Protest in Nineties Britain (ed., Verso, 1998), and Senseless Acts of Beauty: Cultures of Resistance since the Sixties (Verso, 1996). George was founding co-editor in 2002 of Social Movement Studies: Journal of Social, Cultural & Political Protest (Routledge). He has been Professor in Residence at EFG London Jazz Festival (2014) and Kendal Calling (2011). 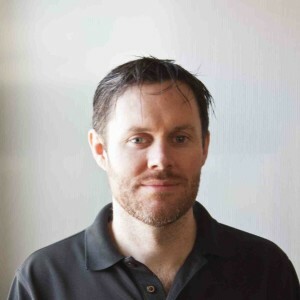 Sean Nye is a Provost’s Postdoctoral Scholar in the Humanities (2013-15) at the University of Southern California, USA. He received his PhD in Comparative Studies in Discourse and Society from the University of Minnesota in 2013. Sean has been a Fulbright Scholar at the University of Copenhagen, a DAAD fellow at the Humboldt University of Berlin, and a fellow of the Berlin Program for Advanced German and European Studies at the Free University of Berlin. His articles, reviews, and translations have appeared in, among others, Dancecult: Journal of Electronic Dance Music Culture, Journal of Popular Music Studies, Echo: A Music-Centered Journal, and Cultural Critique. His research foci include electronic dance music, German studies, cultural musicology, and science fiction. 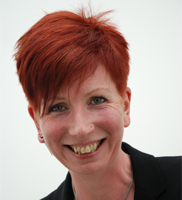 Alice O’Grady is Associate Professor in Applied Performance at the University of Leeds, UK. Her work is concerned with how participatory forms of performance and modes of play can facilitate change. She is particularly interested in investigating alternative spaces of play and found spaces for performance. Since 2006 she has been exploring the relationship between participation, play and performance in festival settings both in her role as artistic director of …floorSpace… and in collaboration with Urban Angels, an aerial circus theatre company based in Leeds. Alice writes about underground club culture and the alternative festival circuit in the UK. She is a member of the editorial team for Dancecult: Journal of Electronic Dance Music Culture. Roxy Robinson is a gig promoter and festivals consultant who also lectures at the UK Centre for Events Management, Leeds Beckett University, UK. Her specialist areas of teaching at the Centre include Event Production, Impacts and Risks, and Event Law. Roxy has worked in live events since 2004, starting out as the band booker for a Leeds based music venue, Carpe Diem. She has worked as the arts programmer for the award-winning Kendal Calling festival, and as marketing consultant for Beacons Music and Arts Festival. In 2012, she completed her PhD on the evolution of boutique events and the influence of Nevada’s Burning Man on British festivals. This charted the intersections of participatory programming and idealised event production at festivals in the US and UK. 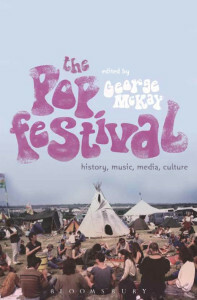 Her first book, Music Festivals and the Politics of Participation, is forthcoming from Ashgate. Roxy continues to provide consultancy services to clients within the events industry, which include marketing strategy, creative programming, theming, and scenographic site design. Graham St John is an Australian anthropologist and cultural historian of electronic dance music movements and their event-cultures with an interest in the complex religious and performative characteristics of transnational event-cultural movements. Graham has been awarded postdoctoral fellowships in Australia, United States, Canada and Switzerland, including a three-year University of Queensland Postdoctoral Research Fellowship in the Centre for Critical and Cultural Studies, and an SSRC Residential Fellowship at the School for Advanced Research, Santa Fe, New Mexico. He is author of Global Tribe: Technology, Spirituality and Psytrance (Equinox, 2012), Technomad: Global Raving Countercultures (2009), and the edited collections The Local Scenes and Global Culture of Psytrance (Routledge, 2010), Victor Turner and Contemporary Cultural Performance (Berghahn, 2008), Rave Culture and Religion (Routledge 2004), and the free ebook FreeNRG: Notes From the Edge of the Dance Floor (Commonground, 2001). Graham is founding Executive Editor of Dancecult: Journal of Electronic Dance Music Culture, and an Adjunct Research Fellow in the Griffith Centre for Cultural Research, Griffith University.